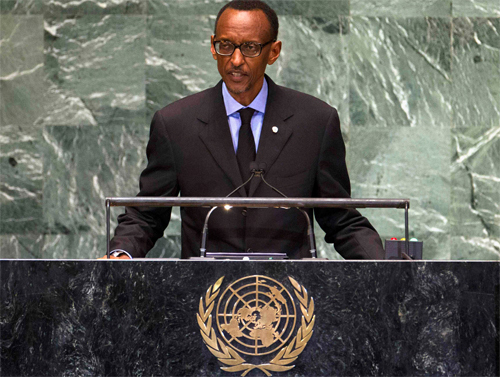 Rwandan President Paul Kagame speaks at the United Nations. The United Nations demonstrated hypocrisy in its decision to grant Rwanda a seat on its Security Council (UNSC) despite the country’s well-documented history of destabilization in the eastern region of the Democratic Republic of Congo. The UN’s actions are antithetical to the stated goals and vision of the UNSC to protect the weak and “take collective action against mass atrocities” by allowing a known aggressor country to sit in its ranks. The UN has collected over 19 years of reports, cataloging crimes committed by Rwanda against the DRC including the UN Mapping Reporton the. Between 1993 and 2003, the UN reported that the violations of human rights and international humanitarian law committed by Rwanda, represented “one of the most tragic chapters in the recent history of the DRC… marked by a string of major political crises, wars and multiple ethnic and regional conflicts that brought about the deaths of hundreds of thousands, if not millions, of people.” Rwanda’s active involvement with the M23 rebel group demonstrates a continued effort to bring unrest to the Congo. With a well-known commitment to destabilization, Rwanda’s membership reflects a “flagrant conflict of interest,” according to Human Rights Watch. The UNSC appears to have given a seat to Rwanda out of guilt and sympathy over the 1994 genocide. As a result, Rwanda is using its power to reject unflattering reports of human rights violations and to contest new accusations against it based on paranoid claims of bias against Rwanda. Thus far, Rwanda’s most notable contribution to the UNSC is to deny any reports published against it by the Group of Experts, as well as to formally contest two new members on the Group of Experts by stating that they are “biased” against Rwanda. In essence, Rwanda is governed by an autocratic regime run by its President, Paul Kagame, who has won two elections with over 96% of the vote each time. Theogene Rudasingwa, Kagame’s former chief of staff (now in exile in the United States), recently published a book in which he described how the outcome of the first election had to be “re-fixed” because Kagame had won by more than 100%. How can a country that silences journalists, jails political opposition members and is run by a dictatorial regime be entrusted to monitor peace thought out the world? The 1994 genocide was a horrific event and Rwandan government officials justifiably point to the country’s abandonment by the international community during their darkest hour. As recently as July 2013, Minister of Foreign Affairs, Louise Mushkiwabo, opened her remarks at the UNSC meeting on the situation in the DRC with such an argument. It is a signature move of Rwandan government officials to play up the “genocide guilt” in order to gain sympathy and development assistance. However, over the last two years this ploy has ceased to be so effective. Rwanda is now one quarter of the way through its two year appointment to the UNSC and the likelihood of its removal is slim, but how will Rwanda respond to the increased level of scrutiny brought by its current postion? Many Rwandan government officials are active on social media and one in particular, Olivier Nduhungirehe, the Minister Counselor, Deputy Permanent Representative of Rwanda to the UN, is a very active Twitter community member. Yet, the majority of his tweets are either abusive to those who disagree with him, (this writer included) or are in strong support of the actions of the M23 in DRC. For a country that vehemently denies responsibility for backing the M23 why would one of its UN representatives so adamantly defend it in public? Jennifer Fierberg is a journalist with a particular focus on Rwanda. The eastern part of the Democratic Republic of the Congo has been mired in violence perpetrated by various rebel groups in geo-strategic and ethnic wars for the last two decades. This area of the DRC is rich in mineral wealth that foreign countries seek to use in many electronic and travel innovations. Unfortunately, access to these minerals has wreaked havoc and devastation on the communities in this area. Those most affected by these ongoing wars are women and children. Men also suffer from this horrific violence in many ways but when a woman is demoralized the community collapses. When a woman is raped in this region their men reject them, cast them out of their homes and often turn their children against them. Women become outcasts in their own communities and homes. One way for these women to re-empower themselves is to have supportive groups come alongside them and assist them with re-establishing their lives. Two such groups have come together in order to provide an opportunity for these brave women. Vision GRAM International has partnered with SowHope in order to better the lives of 50 women in Easter DRC who have been victims of physical and sexual violence. Vision GRAM International advocates on behalf of those who have suffered human rights violations, vulnerable populations, including survivors of armed conflict, women and child soldiers. SowHope is an organization that focuses only on the “holistic needs of women living in extreme poverty.” The mission statement of SowHope reads, “To inspire women around the world by promoting wellness, education and economic opportunities.” SowHope has assisted thousands of women since their start in 2006 and continues to reach out to women who earn less than $2 per day. 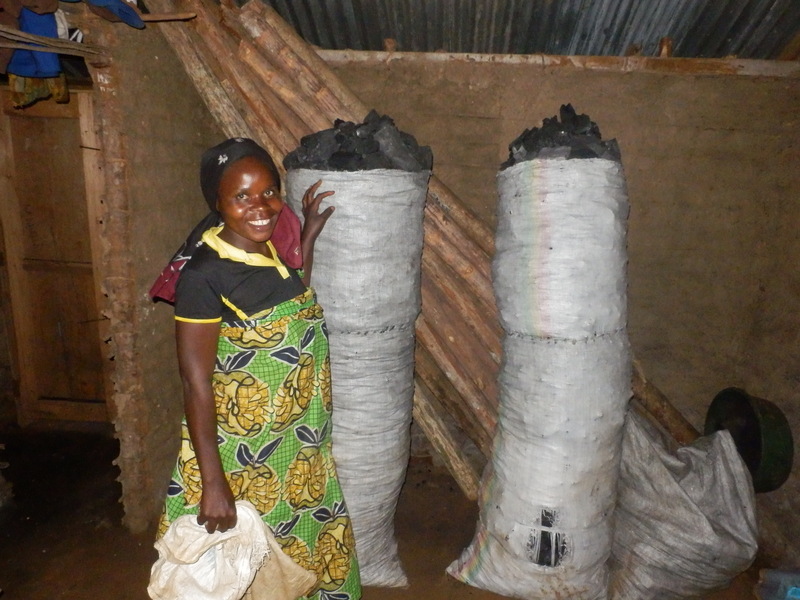 “It’s exciting when you see those women smiling after receiving the financial support, but many challenges remain. Peace and protection must be a top priority from the DR Congo government, to help them to rebuild their lives” says Victor AMISI, the executive director of Vision GRAM- International. Women do not have access to credit, properties and are not considered to be a member of the community after being sexually assaulted. But this project seeks to help them to have access to credit, property and be useful in their community. By receiving financial support, they change their lives, the lives of their families and the women are able to contribute to the socio-economic life in their community. Vision GRAM-International and Sow Hope, together, help those vulnerable women, affected by armed violence in eastern Congo to rebuild life. The women in this project were identified by their level of vulnerability to ongoing threats of violence as well as through an interview process. 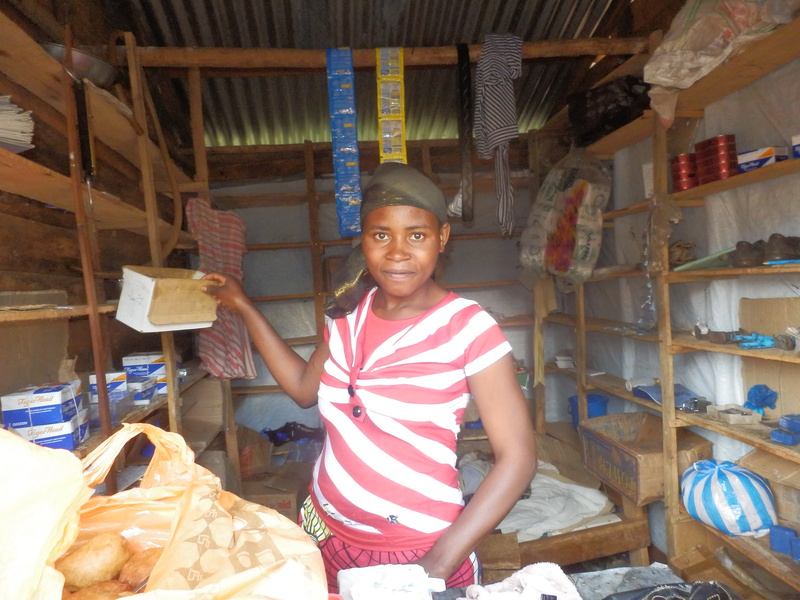 The women identified had experience in small business and other income generating activities. A needs based assessment was conducted and found that these women have few if any possessions and lack personal effects such as proper clothing, medical care, and resources for hygiene products. This project sought to improve the socio-economic conditions of these 50 identified women via a basic revolving credit program over a period of three months. Of the 50 women identified over 500 people benefited from this project by extension. In March 2013 these 50 women attended training sessions organized by Vision GRAM International and these trainings were held in the Vision GRAM International offices in Cifunzi/Kalonge.”From this project, children will attend school, but families need more to support education and wellness. “We believe that change will come because there is hope, declares Theophile Cishibanji, the coordinator of the project in DR Congo. The workshop focused on mechanisms of management of microfinance by a consultant of Vision GRAM with qualifications in business management. The women learned about capital preservation strategies and strategies for reimbursement. 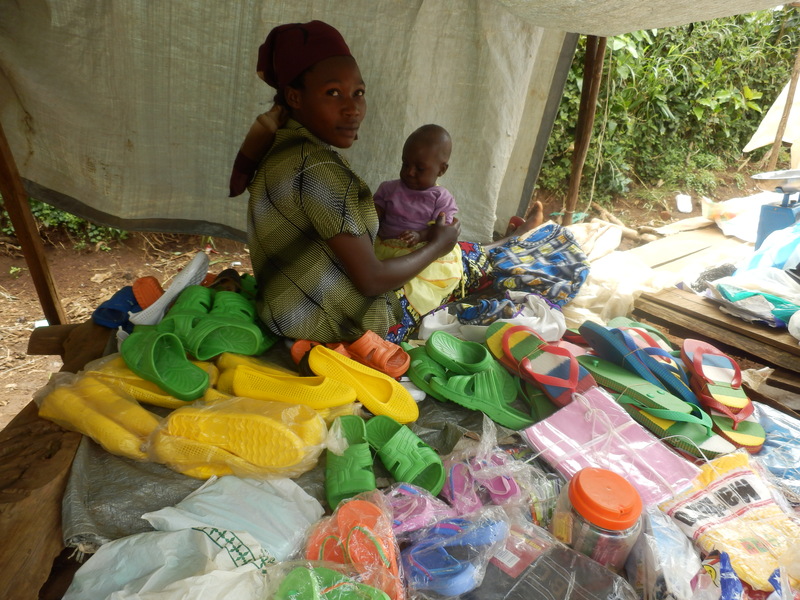 The women were educated about credit and that the support is not a gift but a supportive means for them to use in order to begin financing their businesses. They understood at this workshop that the credit would be repaid within six months from the time of receipt in April of 2013. Each recipient chose to sell essential products used daily in the community such as rice, donuts, beverages, salt, yams and Cassava flour. With the profits made these women are able to fund daily food for their families, pay for school fees for their children and receive health care. 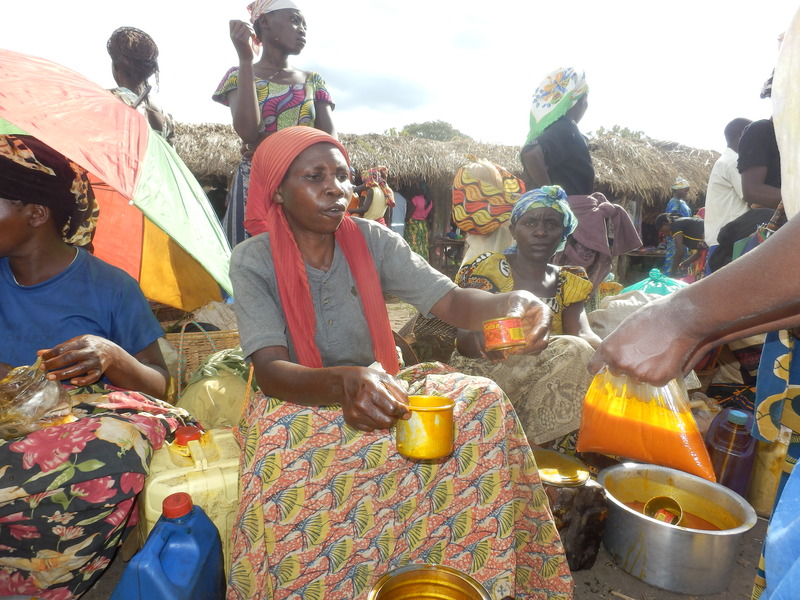 The women underwent further training in proper daily nutrition in order to combat the problem of daily hunger. The women were also assigned a facilitator to monitor the activities and assist on a daily basis as needed. The women continue in their business ventures with the assistance of Vision GRAM International and results so far have been positive. Thus far the women report being empowered to support themselves, their communities and their families. Further reporting will be available during the ongoing monitoring of the program and the women will continue to have the assistance of Vision GRAM staff. Assessments will be made along the way so that improvements can be made to the program for both the women already involved as well as being able to identify other women in the community who can benefit from this micro-finance program. Foreign Policy is a complex labyrinth of balancing local needs with international interests. This act requires awareness of one’s population, needs of the community, financial and peaceful stability as well as serving the interests of the greater good. These are all signs of a mature and aware politician. The key here is being able to look beyond the individual interest to the needs and to focus and serve the needs of the great good. Recently, James Baker stated that, “America must be prepared to act unilaterally when necessary, but also appreciate the use of allies in foreign engagement.” This statement can be applied to government worldwide who are seeking to be a part of the greater global community in a positive and contributory way. These skills are not easily mastered nor are they universal. In place of America in Mr. Bakers statement one could substitute any nation, including Rwanda. Recently Rwanda has come under much scrutiny by its neighbors who are asking President Kagame to negotiate with the FDLR. President Kikwete of Tanzania recently suggested that Rwanda negotiate with the FLDR and end the 19 year standoff. Kagame rebuffed this advice and instead asked for an apology from President Kikwete for such a recommendation. Now the SADC has also urged Rwanda to also engage in these peace talks as well. Mr. Ban Ki Moon, Security General of the UN, has also made a statement supporting President Kikwete in his call for negotiations. With these powerful neighbors and world leaders who have stable countries and democratic processes one has to wonder why President Kagame won’t heed the advice of such nations. The U.S. Department of State announced today that a new special representative to the Great Lakes Region has been appointed with the goal of finding a solution to lasting peace to a region that has been overly involved in war for nearly twenty years. It appears that since President Kagame will not engage in peace talks other nations have decided to intervene and urge him to do so. RWANDA : POLITICAL OPPOSITION COMMENDS SADC POSITION ON TALKS FOR LASTING PEACE IN THE GREAT LAKES REGION. On 17 June 2013, the extraordinary summit of the Heads of State and Government of the Southern African Development Community (SADC) held in Maputo (Mozambique) urged Rwanda and Uganda to consider peace talks with the armed opposition for a lasting peace in the Great Lakes region. During the last African Union Summit, Tanzanian President Kikwete advised Rwanda to talk peace with its opposition. On 2 June 2013, in Yokohama (Japan) during his meeting with H.E. Mr. Jakaya Mrisho Kikwete, The United Nations Secretary General Ban Ki Moon, commended his stand for comprehensive peace in the region, the deployment of Tanzanian forces for the International intervention brigade in Eastern DRC, and his advice for peace talks. He promised to deepen this issue of lasting solutions engaging all stakeholders during the September 2013 meeting in New York. The Rwandan political opposition, FDU-Inkingi, RNC, PSI-Imberakuri and Amahoro People’s Congress commend SADC recommendations for lasting peace in the DRC, Rwanda, Uganda, and the whole Great Lakes region. We, the undersigned, express our readiness to fully contribute to any peace efforts in the region and to take part in talks under the facilitation of SADC leaders and the international community. The decision will remain with President Kagame and his government as to whether or not he will begin discussion and negotiations with the FDLR. This is not an easy move for Mr. Kagame since he has maintained that he will not negotiate with them under any circumstances. The United States government has announced it will engage in bilateral talks with the Taliban after years of ongoing sever conflict. 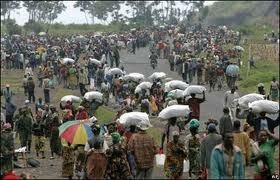 Mr. Kagame should take note of this move and reconsider his decision for the sake of peace in Eastern DRC.